Humans are born with an urge to make marks, to sing, dance and generally express themselves. If you ask any small child if they can draw or paint they will say ‘yes’ and happily show you – so what happens? Why do we lose that confidence in our ability? It seems to be an inborn urge to make marks to express what we see around us. Perhaps this helps us to connect to our environment and make sense of it….. Drawing as a form of communication and connection goes right back to our human roots. Our self awareness, creativity and inventiveness has made us the most powerful animal on earth. Little children begin by scribbling (on everything!) until they – miraculously – form a circle. Apparently young chimps love to scribble as well, and some even manage to make a circle too, but they do not take the symbol any further. Human children put dots and lines inside that circle – and suddenly it represents a face, usually Mummy’s, or the face of their primary carer. That face is the most important feature of their world and when it appears they know that they are safe and will be cared for. They draw that circular image over and over again, beginning to add other people in their world, and adding stick legs because the faces move, and stick arms and fingers because the faces do things with them. Their drawings are completely logical symbols of the world as they experience it. 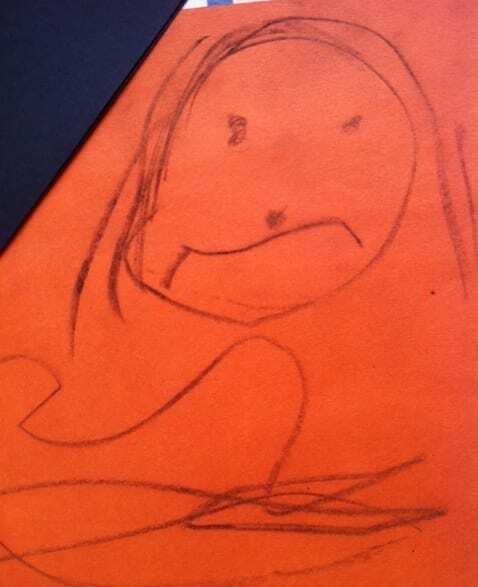 This is why art therapists can read so much into a child’s pictures. One of my daughters drew us all as a family when she was very young; I was the only one with fingers though. In her world perhaps it seemed that I was the only one that did anything! Little children are sponges, and will happily copy other people’s images to complement their own. They are very happy to be shown how to draw a simple house, a tree, a bird. They copy each other’s images and symbols too. 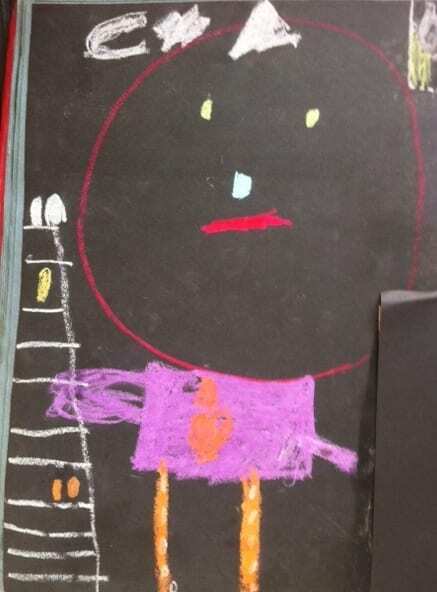 It is interesting that children’s drawings look remarkably similar the world over. An exercise I sometimes give my students is to draw a simple landscape pretending that they are about five. The first thing they notice is how HAPPY this makes them feel! Then we see how similar their drawings often are, and one thing that I love is that my Maltese students will usually draw little houses with pointed roofs and chimneys, when there is no such thing in typical Maltese architecture. 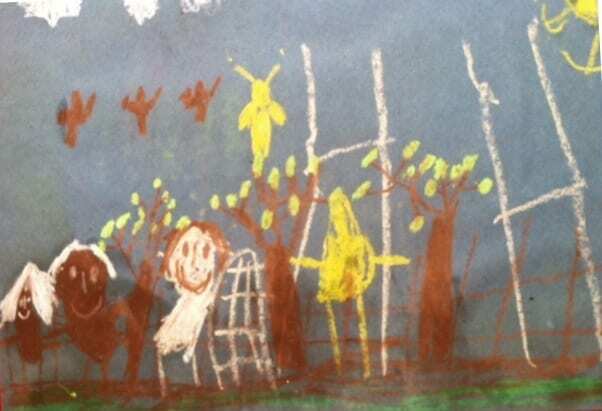 I wonder how children would draw if they were not shown anything at all? My family had a Spanish au pair girl when I was very small and she used to draw little Princesses for me. They all looked the same and I loved them. I wonder if that sparked my fascination with drawing the human figure? 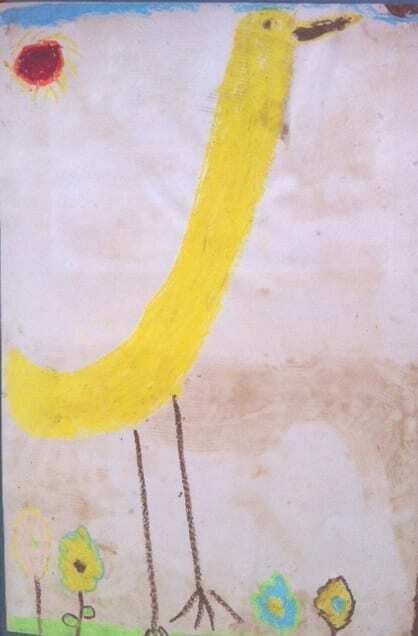 Children’s drawings naturally develop to become more rounded and sophisticated, and to reflect what the child is most interested in; cars, boats, animals, etc. At some stage though, a dissatisfaction sets in as they try to draw more realistically and find that nobody can help them to do that. They might be able to draw one or two things reasonably well, but other subjects will just frustrate them. 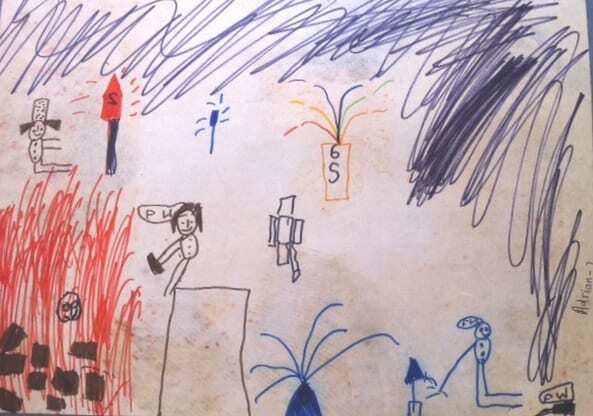 Some children find drawing and thinking creatively easier than others, but most find it really difficult and are easily put off by negative comments and accept the label of ‘unable to draw’. Even as adults they will fall back on childhood symbols such as stick men and cauliflower trees whenever they are asked to draw. The reason behind most people’s frustration with not being able to draw realistically is usually the same one; it is because they have been attempting to learn to draw in a logical way, and drawing is not a logical process. It is a creative one, and involves learning to ‘see’ the world in a completely different way before they can draw it. It is the way that an artist sees, and is not taught in classes unless the teacher is not only able to see that way, but also able to explain and demonstrate it. The answer is to draw exactly what is in front of their eyes, without processing it in any logical way. This sounds simple, and some of us seem to do it naturally, but most people find learning to draw realistically a complete revelation.